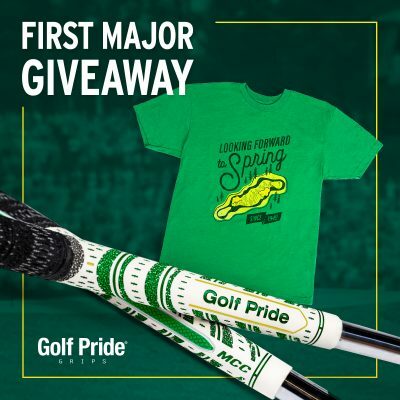 “Tour” is the word most commonly used for golf balls which have performance characteristics in line with what a PGA Tour professional would require. Those characteristics would include high spin and a soft cover, which aren’t necessarily characteristics which would benefit a high handicap golfer. Why? Pros can control their spin. High handicappers generally can’t. So the high ‘cappers will have serious distance loss due to side-spin, and will have very bad accuracy as the ball will be hooking or slicing more. Further, most higher handicap players come up short, and a ball that has high spin and stops quickly or even backs up on a green, isn’t good in that situation. 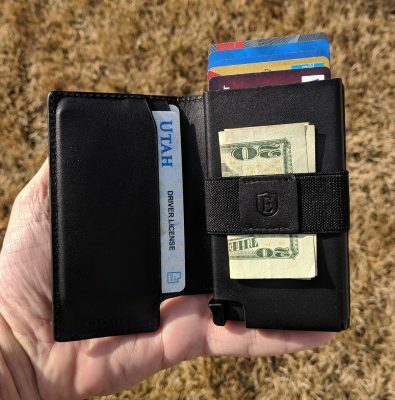 For the lower handicap players and pros though, the MTB is a very affordable and high performance alternative to the $50-$60 per dozen tour offerings from the big name brands. Let’s take a look at the construction of the ball. 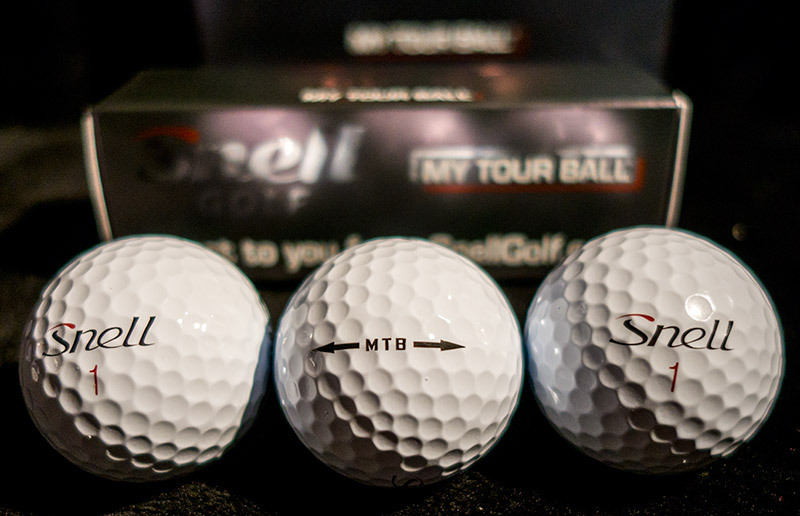 The MTB is a 3-piece or 3-layer golf ball. Each layer produces performance properties and when combined gives the ball it’s overall performance. The first layer of the MTB if we go inside-out, is the core. Just like the earth’s core, the core on the MTB is the center. Most of the mass of the golf ball resides in the core and the ball’s general feel and “compression” comes from this layer. Softer cores result in lower spin, and therefore less side-spin. Soft cores can mean more accurate drives because of the reduced spin. But there’s a fine line with soft cores because as the core gets softer the distance is lessened. Snell’s MTB combines a soft core with technology which still helps produce the max ball speed allowed by golf’s governing bodies, and thus the most optimized combination of low driver spin and distance. The mantle is the next layer. The mantle layer still has influence on the overall ball speed and compression. The mantle’s true performance benefits are in iron shots and short game shots. The mantle helps to increase spin as the shots get shorter, which is optimum. Low spin on long shots and higher spin on short shots. The cover of the ball is perhaps the most crucial in terms of giving a golf ball the “tour” label. Tour balls typically have a “urethane” cover while cheaper balls may have covers made from other rubber/plastic materials like ionomer. Urethane gives a golf ball very soft feel in the short game and putting, and high spin on short shots, chips, and pitches. When you see tour pros “yank the cable” and spin a ball back to the crowd’s joy, that’s almost guaranteed a urethane cover ball. Pros and low-handicap golfers want the spin and control of urethane and the MTB has it. I admit I’m a bit late to the party with my review. I actually received a box of MTB’s to try close to two years ago. At that time I was playing a different ball and didn’t want to change. A couple of years later I got some more and finally decided to play them again this season as my game was in such bad shape I needed a gear and mental overhaul. From the tee the MTB is comparable to a tour ball such as the ProV1. This is bit more spin off the driver than balls I’ve tended toward in the past like the Bridgestone B330, and thus can be less accurate for me if my swing gets a little wild. I also find that extra spin results in a little shorter overall distance off the driver for me. These are the reasons I’d previously not opted to have the MTB as my “gamer” ball in the past. There have been a few occasions where all launch factors have been perfect and I’ve hit massively long drives with the MTB. Accidents happen. Blind squirrel syndrome. That said the ball is plenty long still and it does offer me the chance to “work the ball” (curve it) if I need to. Balls with less driver spin are harder to work. Approach and in is where the MTB has made a big difference in my game. I’ve found my distance control has been much improved, though I must admit I also changed to different irons at the same time as my ball switch. Trust me on this. The irons are not an issue. I really love the feel of the ball off my irons and I’ve been gaining more and more confidence with each round. I’ve had some bad distance issues this season and when I made the iron and ball switch, those issues vanished. I’m sticking approach shots now, even backing some up. Most recently I recall some very nice mid-to-long irons stopping on a dime, like a 6-iron I hit last weekend from about 185 yards. The ball mark was in the shadow of the ball. Mark first, then fix. Don’t accidentally move the ball when fixing the mark! Short game shots are where the MTB really shines. My chipping and pitching (which I’ve whined about for a long time online) has been 1000x better. I’m actually saving par often now because I have better feel and control around the greens. I’m finally able to get the ball close enough to the hole to make a par-saving putt. In the case of par-5 holes, I’m chipping it close and making a 2-3 footer for birdie now. Huge difference on the scorecard. I’m enjoying the feel of putting with the MTB as well. The urethane cover feels nice and soft and I have solid distance control. When I miss a putt (not often! ), I know my next one is going to be very close. I like to “seam up” the MTB with it’s alignment arrows, which are also along the ball’s seam. That helps my alignment. Last week I played 41 holes with the MTB. 13 holes were a net match and then an 18 hole round a couple of days later. Yes I trusted my net match outcome to the MTB and glad I did. I won the match. My total in relation to par over those 41 holes last week: +1. Tour balls are typically not durable. It’s hard to make a all with a soft urethane cover which resists scuffs, but the MTB does a fine job of it. I expect a tour ball like this to last a round or two before I retire it to the practice ball bag, but the MTB’s are lasting longer than that. Let’s do a little test. Which of the balls below has been in play for 36+ holes? It’s a trick question. 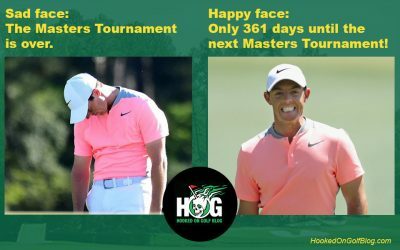 Both balls have been played over 36 holes. 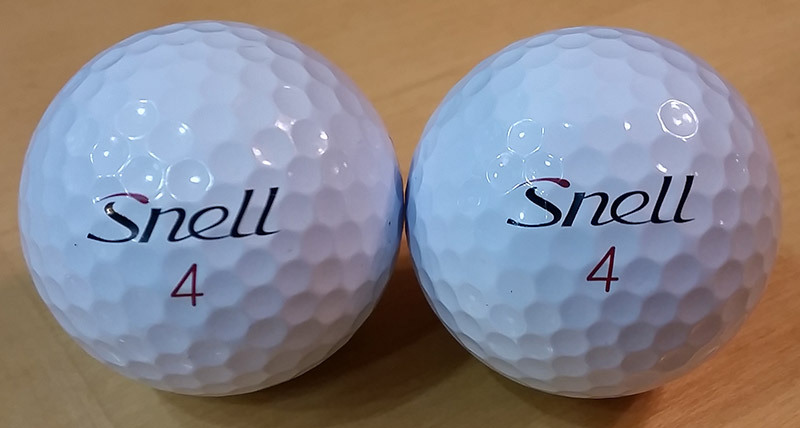 At $31.99 via the Snell Golf website, these tour-level balls are roughly half the cost of some of the big name brand balls and offer comparable or even better performance. Call it a two-fer. Pop quiz: Name a golf ball that costs about half as much as a Titleist ProV1, TaylorMade Penta and Tour Preferred, performs as well or better, and is designed be the same engineer who created or helped create those golf balls? Answer: Snell Golf’s MTB (My Tour Ball). In 2015 Dean Snell went solo with his golf ball engineering, after spending 18 years at TaylorMade and seven years at Titleist. He released two balls, the MTB (My Tour Ball) and the Get Sum. The Get Sum is designed for non-tour players while the MTB competes, equals and even surpasses the performance of the major brands’ tour balls. 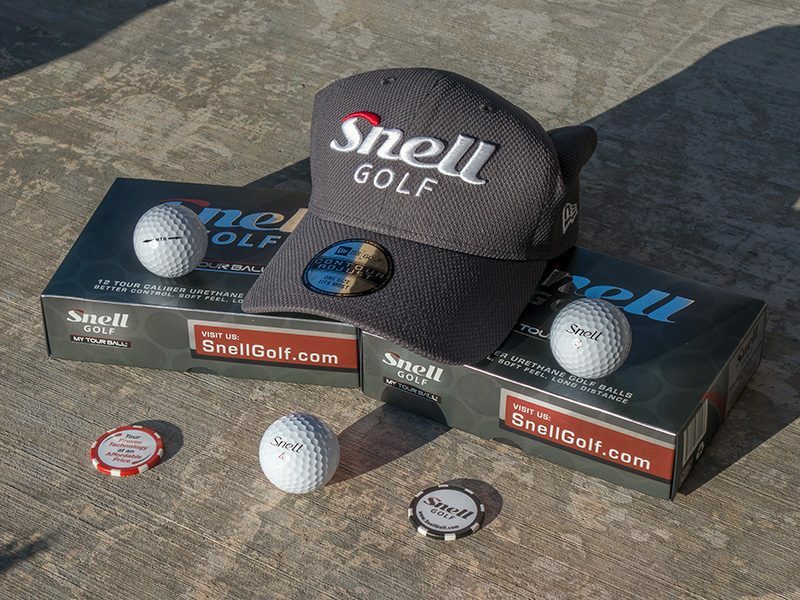 Above is a photo of the MTB Father’s Day gift pack which includes two boxes of pro-level MTB Snell Golf balls, a Snell hat, and two casino chip style ball markers. 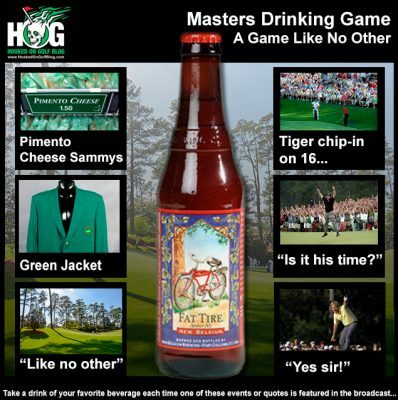 This package runs $75 and is sure to make your low handicap dad super thrilled on Father’s Day. If dad isn’t a low handicap player or pro, the Get Sum Father’s Day gift pack runs a mere $56. Snell is a direct to the customer setup and shipping is free. I’m going to put the MTB into play and write a full review soon. Stay tuned. 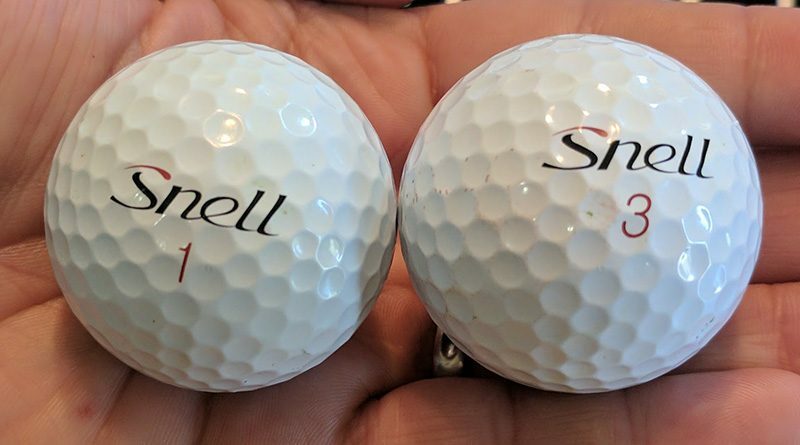 Along with the MTB golf balls (My Tour Ball) I’ll be testing out, courtesy of Snell Golf, I’ll also be trying out the “Get Sum” model. 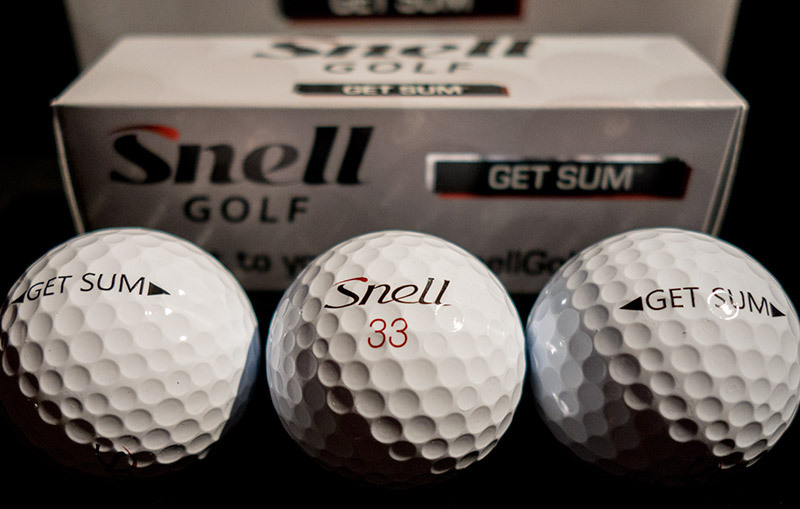 The Get Sum golf ball by Snell Golf is more of a regular golfer’s ball. The Get Sum probably isn’t the best fit for my game, as a low single digit handicap, but you never know. I’ll give it a shot, so to speak. Stay tuned. 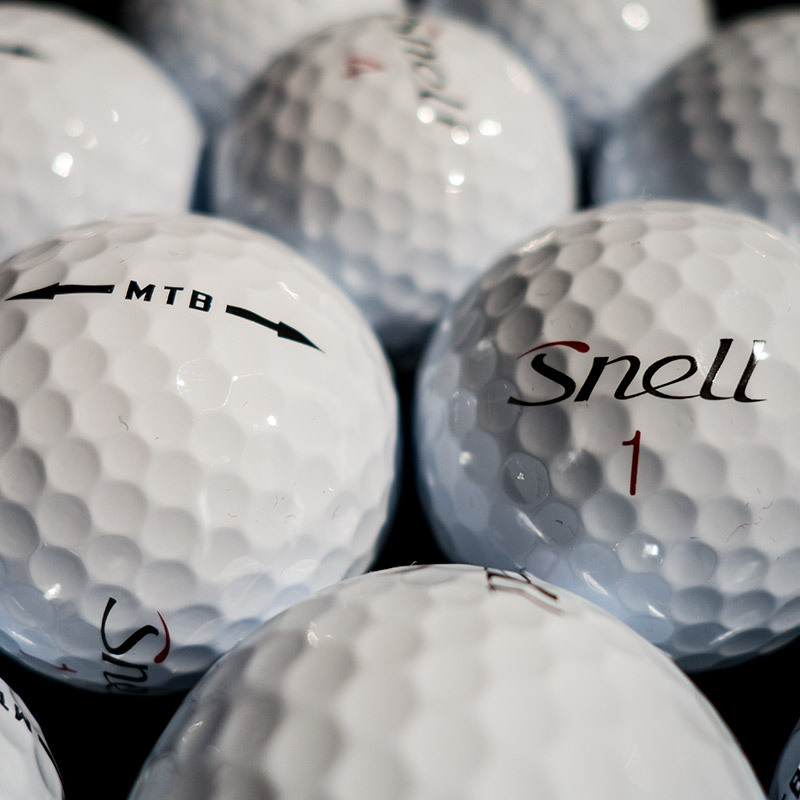 Yesterday I put some new golf balls into play for testing, the Snell Golf “My Tour Ball” or MTB. Who is Snell? 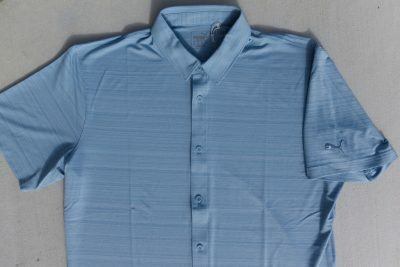 Snell is the name of the company’s founder, Dean Snell. Dean is a former TaylorMade Vice President of R&D for golf balls, and co-inventor of the Titelist ProV1. The MTB is a “tour” caliber ball. This means it has a qualities a professional tour golfer would want, such as high spin, soft cover and so on. The cover is urethane, just like 99% of the other tour balls, like the ProV1. I have to log many more rounds before I’m ready for my full review, but here’s a short commentary after one full 18 hole round. I loved the feel of the ball and found it to respond well when I put a good swing on it. Unfortunately in yesterday’s round the good swings were not that often. I found the ball to feel great around the greens and with the putter. I especially loved the feel hitting bump and run shots with anything between a 7-9 iron. Below is a photo of two Snell MTB balls. One is the ball I played 18 holes with and one is brand new, never played. Can you tell which is which? One ball is new, one has been played 18 holes. Can you tell which is which? Based on yesterday’s round and the photo above, these are very durable for “tour” balls. Tour balls aren’t typically durable.